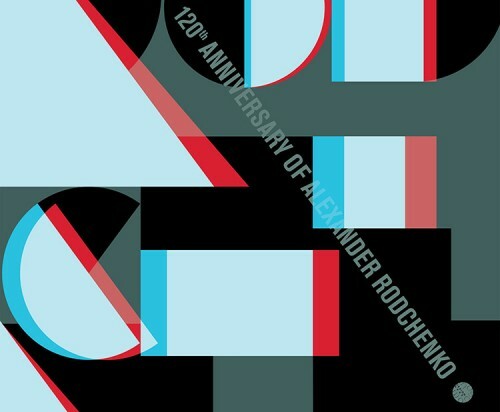 In recognition of the 120th anniversary of the birth of Alexander Rodchenko, Moscow Design Week organized a poster campaign honoring the Russian avant-garde artist, graphic designer, and photographer. Commissioning work from twenty prominent Russian poster artists, the campaign sought to create a dialogue between contemporary graphic designers and a master of the discipline. Sergei Serov, curator of the project, writes, “The posters are not only a tribute to the great artist, but a reflection on the historical destiny of graphic design.” The posters all bear Rodchenko’s influence in unique ways. Elements from some of his most notable designs are repurposed, utilizing Rodchenko’s own language of collage and geometric composition. These strict geometries inform Nikolai Shtok’s entry, above, where simple geometric forms are abstracted and composed as a Rodchenko-inspired typography.